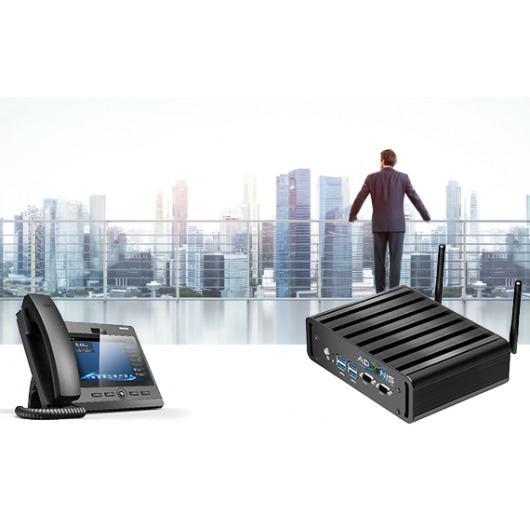 Adonis Symbiote, PBX/VOIP server (code named “Hermes”) is designed to bring low cost VOIP to every business. Fully compatible with all forms of SIP, DAHDi, and IAX2 devices, Symbiote Hermes allows for out of the box VOIP setup as well as ATA connection to convert your old PSTN (such as fax machine) to VOIP. Features such as voicemail, user control panel, conference call, Inward access, IVR (interactive Voice response), and Operator panel as just some of the standard features, Symbiote Hermes offers a complete solution to your companies VOIP needs. Features such as voicemail, user control panel, conference call, Inward access, IVR (interactive Voice response), and Operator panel as just some of the standard features, Symbiote Hermes offers a complete solution to your companies VOIP needs. 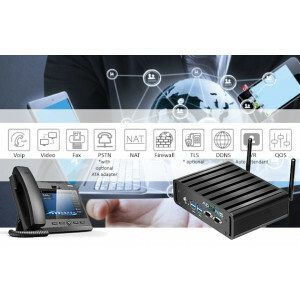 Voicemail, IVR auto attendant, FAX, Video call support, Inbound/Outbound call route control, up to 1000 extensions, 80 concurrent calls, call recording, DDNS, NAT traversal, TLS security (optional), QOS, Firewall built in, operator mode, User control panel, connect to any SIP or IAX compatible client, ATA adapter etc. Optional: ATA adapter required for PSTN access - see our ATA products. Larger products can be designed for larger firms and call centers. We recommend adding the PBX to a port forward DMZ for remote workers. Larger servers available for greater capacity needs, NO per user licensing. Paid codecs are also available, as are speex, opus, siren, silk, adpcm, g723, g726, and others.